In essence, if a patient is harmed as a result of a mistake that occurred any time from the manufacture of the drug to the point at which the patient actually uses the drug, then it could be considered a medication error. As many as 1.5 million Americans are injured each year as a result of medication or pharmacy errors, according to a report released by the Institute of Medicine of the National Academies. To put that number in perspective, 4,110 people are injured every day in the United States because of a medication or pharmacy error made by a medical professional or a pharmacist. According to the Food and Drug Administration (FDA), 41 percent of all fatal medication errors are the result of administration of an improper dose. In addition, giving the wrong drug and administering a drug through the wrong route were each responsible for another 16 percent of all fatal medication errors. Failure to warn about side effects. 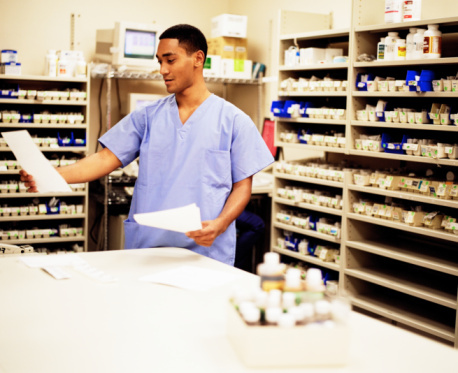 What Causes Medication or Pharmacy Errors? Although health care professionals and pharmacists are busy and frequently care for numerous patients at one time, they are still expected to take the time that is necessary to prevent errors. Despite this expectation, errors continue to happen. Incomplete or out-of-date drug information — A doctor or pharmacist must have current information about a drug or medication in order to properly decide whether it is appropriate to dispense it to a patient. For example, if a new side effect or warning has been added to the drug, and the doctor is unaware of it, a serious medication error can occur. Incomplete patient information — Just as doctors and pharmacists depend on complete information regarding the medications they dispense, they also need complete information about the patient. Both the doctor and the pharmacist should ask patients about other medications they are taking or medical conditions that could affect how a new medication will react in their body. Illegible prescriptions — A pharmacist relies on the prescription written by a doctor to dispense medication. If the prescription is illegible or the doctor has otherwise made a mistake on the prescription, a serious injury could result. The pharmacist also has a duty to catch any discrepancies or follow up with a doctor if something on the prescription does not seem appropriate or safe. Defective labeling — Drug manufacturers have a duty to warn doctors and consumers about any potential side effects that could occur as a result of taking the drug. Failure to provide an appropriate warning could result in a medication error. Distractions — Both doctors and pharmacists can easily become distracted by other patients or duties. These distractions can then cause errors that may result in serious, even fatal, injuries to a patient. If you believe that a medication or pharmacy error caused you to suffer injuries or caused the loss of a loved one, you may be entitled to compensation for those injuries or your loss. Injuries caused by medical malpractice often lead to a lifetime of medical bills that you should not be responsible for paying. In addition, a health care professional who commits medical malpractice should be held accountable for the suffering they caused the victim and the victim’s family. Although the law provides a mechanism to compensate victims of medication errors, Texas law also limits the amount of time within which a victim can file a lawsuit. To preserve your right to compensation, contact an experienced Texas medication and pharmacy error lawyer as soon as you suspect an error. Get in touch with The Law Office of Kevin Krist today by calling 281-677-3962 or by using our online contact form to schedule a confidential case evaluation and consultation at no charge to you.